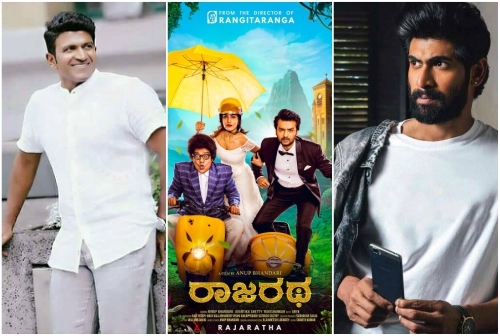 Home » Kannada » News » Puneeth Rajkumar and Rana Daggubati to play cameos in Anup Bhandari’s ‘Rajaratha’? ‘Rajaratha’ will also star Tamil actor Arya in an important role and will mark the actor’s debut in Kannada cinema. Kannada filmmaker Anup Bhandari, who shot to fame with ‘Rangi Taranga’, will next be directing a film titled ‘Rajaratha’ that will have his brother Nirup Bhandari in the lead role. ‘Rajaratha’ will also star Tamil actor Arya in an important role and will mark the actor’s debut in Kannada cinema. ‘Rajaratha’ is also being released in Telugu as ‘Rajaratham’ and will be released simultaneously with the Kannada version. 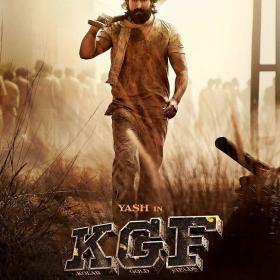 The buzz around the film has been huge ever since the first look poster of the film has been released and according to latest reports, there might be a bigger news about the film. According to a leading portal, Power Star Puneeth Rajkumar will be seen playing a cameo in ‘Rajaratha’ while Baahubali actor Rana Daggubati will be seen playing the same role in the Telugu version ‘Rajaratham’. This is not the first time that Puneeth is playing a cameo in a film. Puneeth previously played brief roles in ‘Kataka’ and ‘Humble Politician Nagraj’ this year much to the joy of his fans. 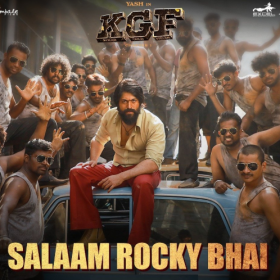 And Rana Daggubati has played many cameos previously in films like ‘Dongaata’,’Size Zero’ and Bollywood film ‘Yeh Jawaani Hain Diwani’. And with these two top stars all set to play cameos in this film, ‘Rajaratha’ has become all the more bigger and will be now the much waited for in the coming season in South Indian cinema. 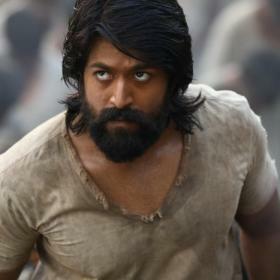 Puneeth Rajkumar currently has Anjaniputra gearing up for release while Rana Daggubati is shooting for a period film titled ‘1945’ which will be a bilingual in Telugu and Tamil.